As the first day of our inaugural school year approaches, we're thrilled to unveil to you the team that will make up the founding faculty & staff of BASIS Independent Fremont. Many thanks to all who have participated in our numerous hiring events that have led to the hiring of such a talented group of professionals. We're pleased that you took part in such a crucial process of the establishing of our cohesive school community. 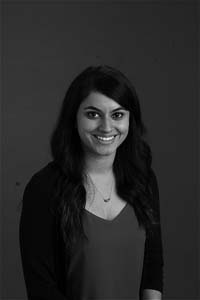 We're pleased to introduce to you Keran Bal, Head of Operations at BASIS Independent Fremont. Keran Bal is the Head of Operations at BASIS Independent Fremont. Keran Bal earned her Bachelor’s Degree in English with a concentration in Creative Writing from University of California, Los Angeles. During her undergraduate years at UCLA, she worked as a museum educator and developed an interest working with middle and high school students. After working in finance for a property management company, Ms. Bal realized that she missed working around children and that her true passion was for education. She was part of the start-up operations teams at both BASIS Independent Silicon Valley and BASIS Independent Brooklyn. She is the unsung hero who makes sure that everything works and moves seamlessly from an operations perspective. She is thrilled to return home to Bay Area to be a part of the founding faculty and staff of BASIS Independent Fremont. Ms. Bal says, "I am so excited to be a part of one of the best schools in America! The children at BASIS Independent Fremont are so eager and excited to learn. I want to do everything that I can to make their educational experience as seamless and enjoyable as possible."